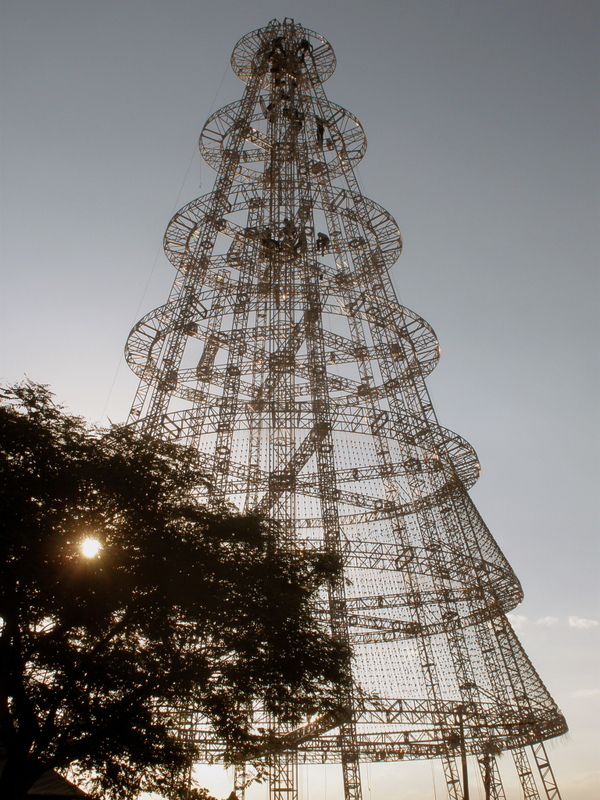 This is a 50 Meter tall digital Christmas tree constructed from truss, wire-rope and LEDs. 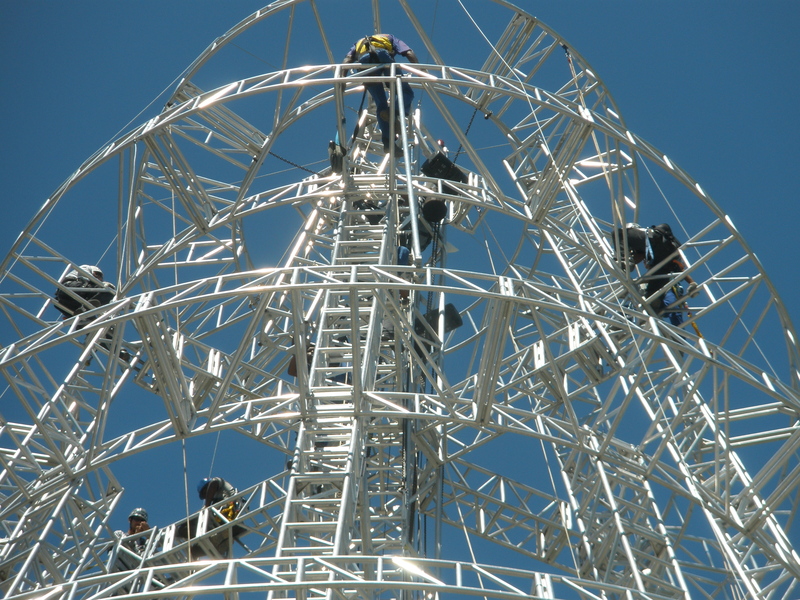 Close-Up of Riggers building a truss Christmas Tree. 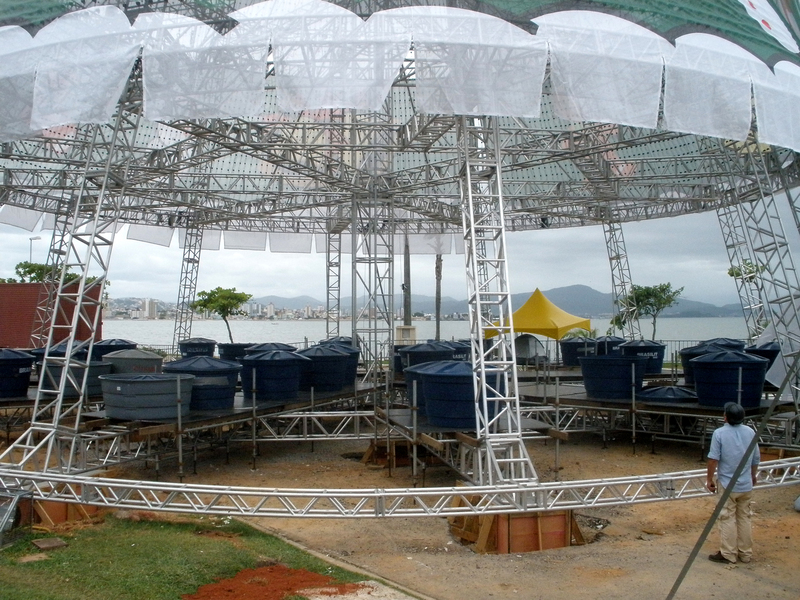 This outdoor structure must be sufficiently weighted at the bottom. We will put the sand back on the beach where we found it … after the event. 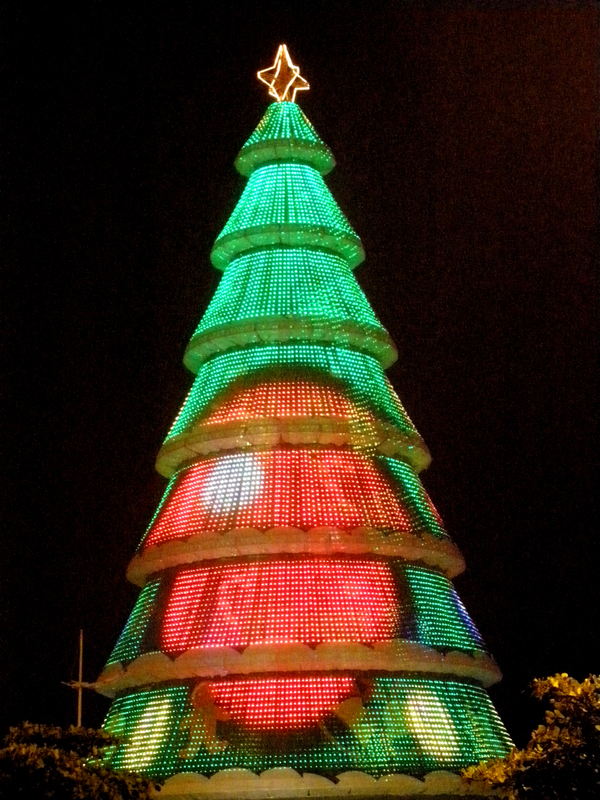 Once the tree is built there is endless testing of all the LED elements. Every wired connection is checked … Row after row after row. 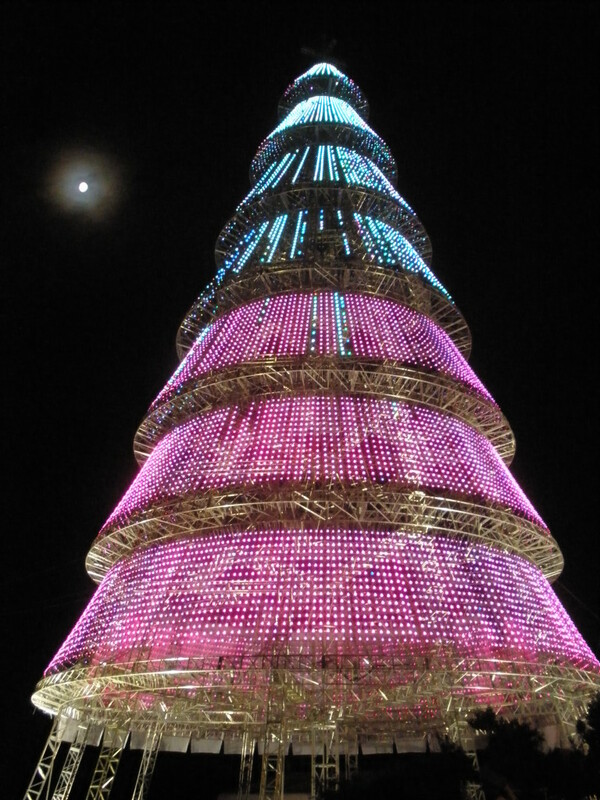 And finally, the finished product is ready to be seen.